It’s true. 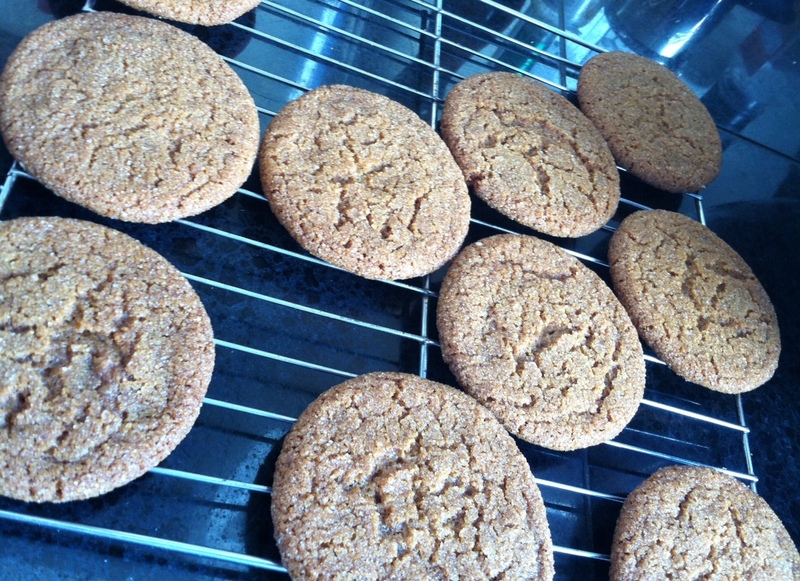 These may look like your standard issue gingersnap cookies. But they are loaded with our new secret ingredient: bacon fat. We’ve been smoking our own bacon lately using pork belly from our friend Mike’s pigs. Besides being drop-dead delicious, this particular bacon is blessed with thick layers of fat. The jar of bacon grease we keep in the fridge just wasn’t big enough any more. So my wife began searching for new ways to use more of it. Voila! Bacon fat cookies. I kid you not. Move over Crisco. Lose the canola oil. Bacon grease makes these cookies soar to all-time new heights. After forming the dough into perfect little balls, roll them in sugar. Or, try black pepper, salt and sugar, or combinations thereof. We like all of them, but our favorite gingersnap was the plain sugar variety. Yes, you will taste a bit of bacon. Amazing how that works with ginger. Needless to say, they don’t last very long.